Time and again, there have been a number of investment systems that have impacted the lives of people. One of them is BannerBit Software, a platform equipped with unique features. These kinds of systems are not just random features but a product of research and innovation by experts. BannerBit.com gives people the opportunity to engage in a lucrative advertising marketplace that provides people with a fun and exciting way in an online advertising platform. BannerBit has collaborated with marketers and publishers to trade banner ownership in real-time between users of the platform via an intuitive user interface. That type of investment system is ad flipping. For those who are not familiar with this system, the process includes buying a banner ad, which will run on a network of publisher websites. You earn a revenue each time somebody clicks your banner. Aside from that, the owner of the banner placement can sell it through a bidding system. There, the seller can set a reserve price and a countdown timer while buyers bid against each other. Once the timer ends, the banner is awarded to the highest bidder. The person who bought the banner can also earn revenue through the clicks it will generate. Also, the platform has a ‘short-selling’ feature which allows banner placement owners to earn revenue from banners with declining prices. Setting up an account on the BannerBit platform is free, and investors need not worry about extra fees or hidden costs – what you see is what you get. However, if you want to buy, sell, or even start flipping ads, you need to place an initial deposit of at least $250. BannerBit works like any investments – you need to invest first before you can earn. However, one of its advantages is that the system is easy to understand and manage. Once you placed your investment, the platform has an autopilot mode feature, making it one of the most preferred investment solutions than similar systems in the market. One of the plus factors of the platform is that it doesn’t require any download or installation process. In this day and age where malware attacks are many, this eases the worry of anyone afraid of accidentally downloading a virus into their operating system. Aside from that, BannerBit is compatible with Android, Windows, and iOS. As mentioned above, the system is not complicated. All you have to do is choose a banner placement, place the initial deposit, and start making money. 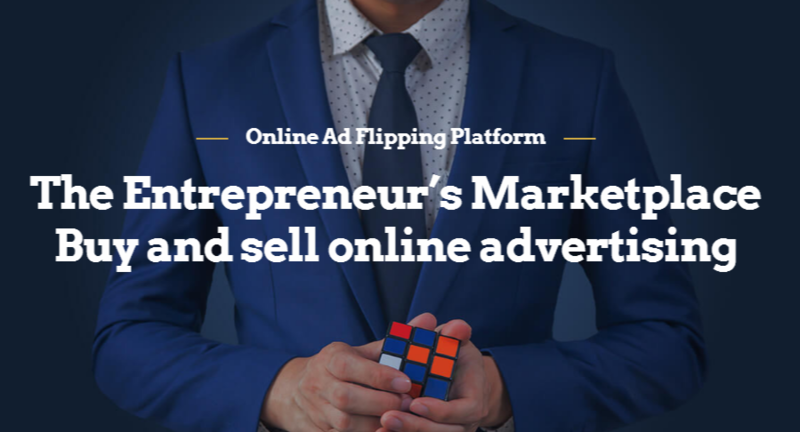 According to testimonials, the platform has a high winning rate, also thanks to big brands banner ads – Nike, Adidas, McDonald’s, Toyota, and more – you can choose from. Such a process makes it an ideal platform for beginner investors. Withdrawals are also hassle-free provided all the information and credentials you have given are verified. You can connect your bank account so you can withdraw your earnings straight to your bank account without any hassle. However, it will take at least 3 – 5 business days for your withdrawal to reflect on your account. BannerBit.com is a legitimate and reliable platform for any types of investors. It has an easy user interface and easy-to-understand features even for first-time investors. For this matter, we recommend it to anyone who wants to try the platform.